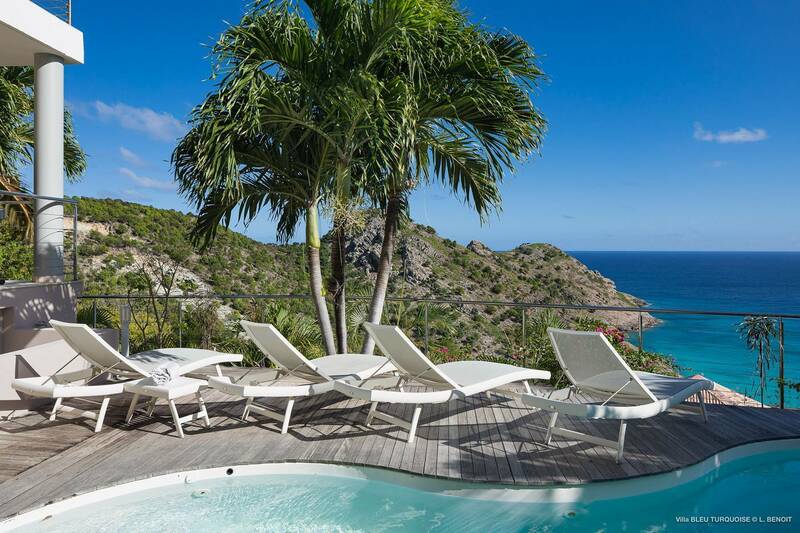 Dream About: Being high in the hills of Gouverneur with a view of its bay – and close to its beach. 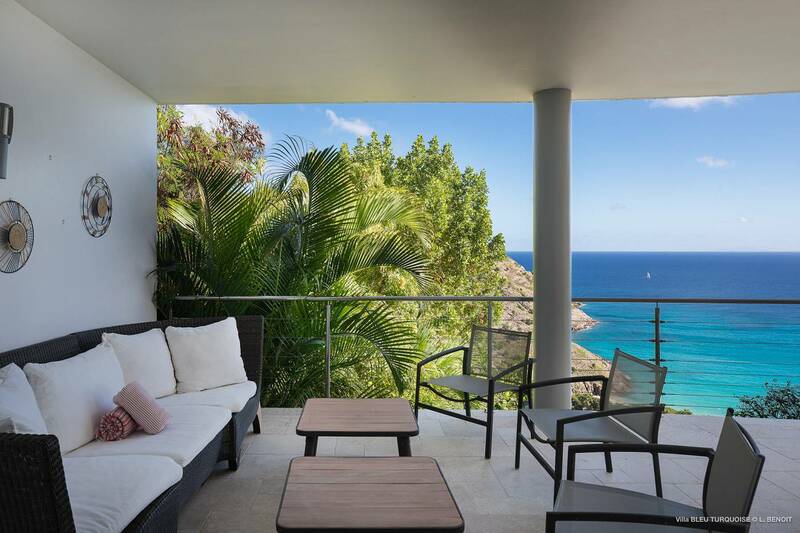 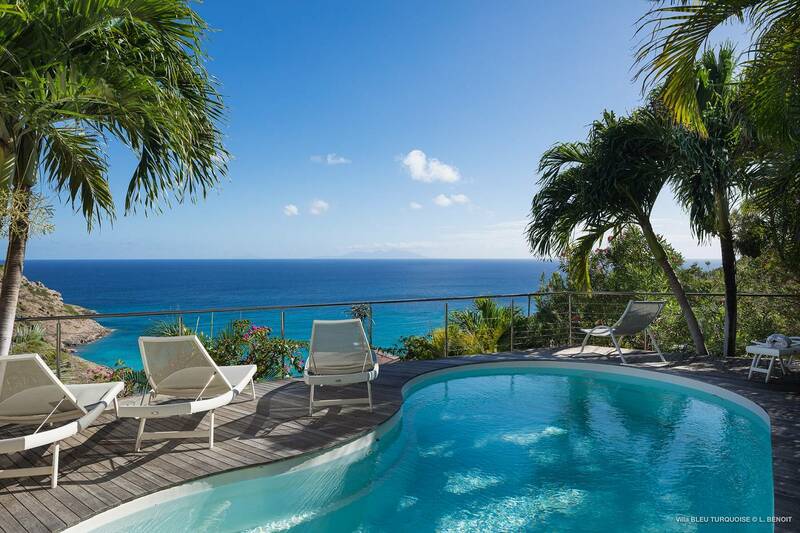 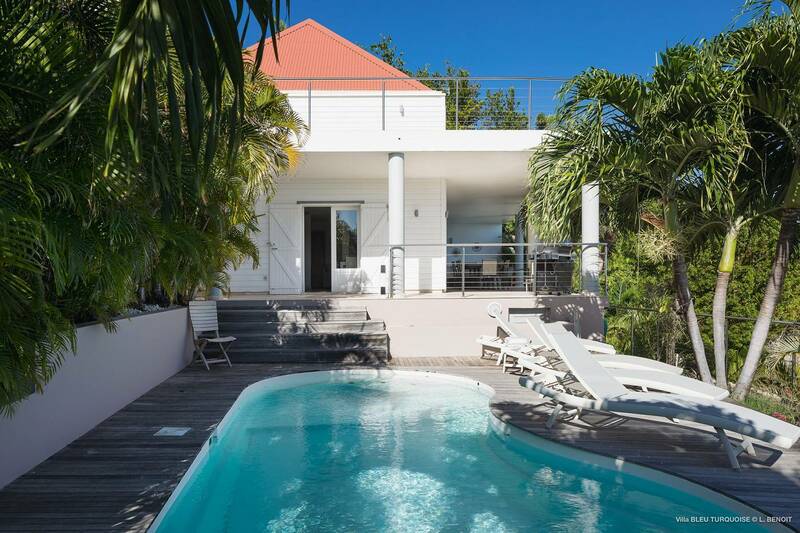 Perched high on the hillside in Gouverneur not far from the beach, this contemporary three bedroom villa features a kidney shaped pool surrounded by an open sundeck. 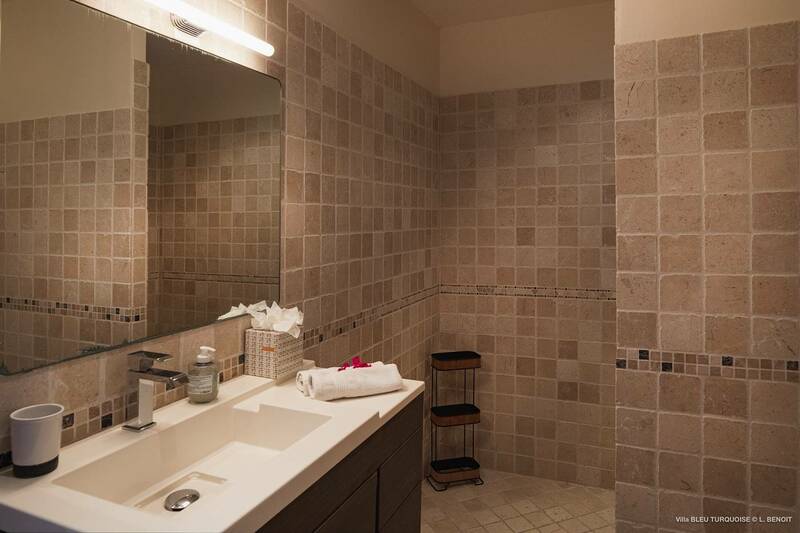 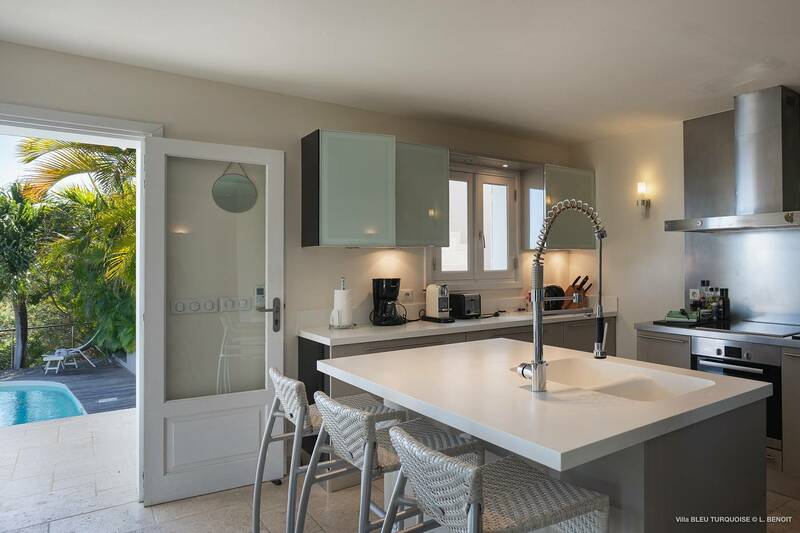 The first floor offers a modern stainless kitchen with a bar, indoor living and dining areas, a guest bath and a king bedroom with bath en suite. 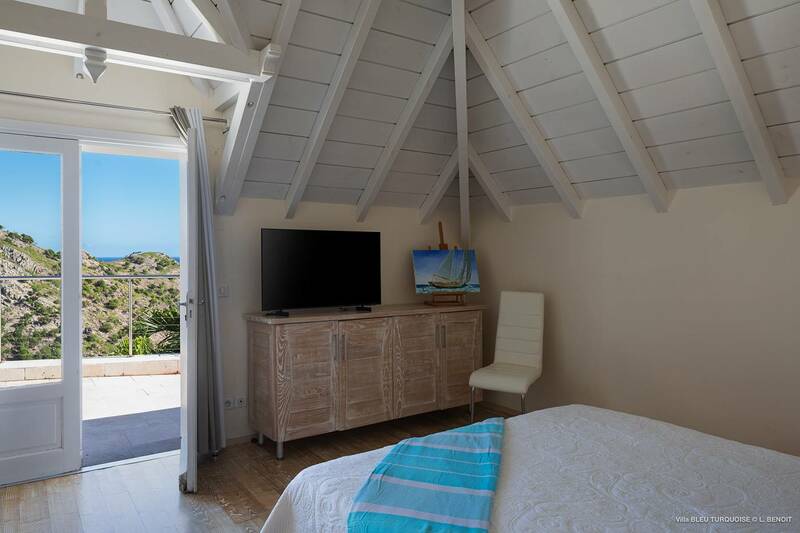 The covered outdoor terrace can be accessed from this bedroom as well as from the living room area, and has both outdoor living and dining areas as well as a gas grill. 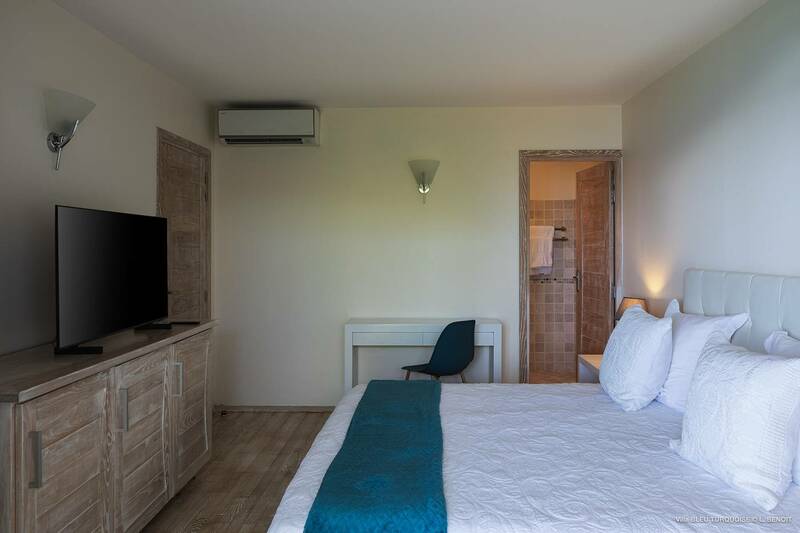 Upstairs are two larger identical king bedrooms with baths en suite and doors that open out to a large sunny terrace. 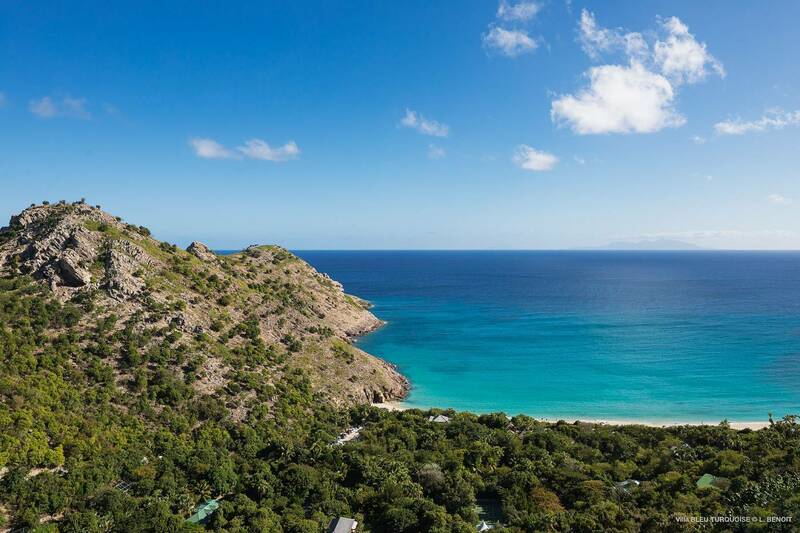 The views of Gouverneur Beach, the bay and the ocean are gorgeous. 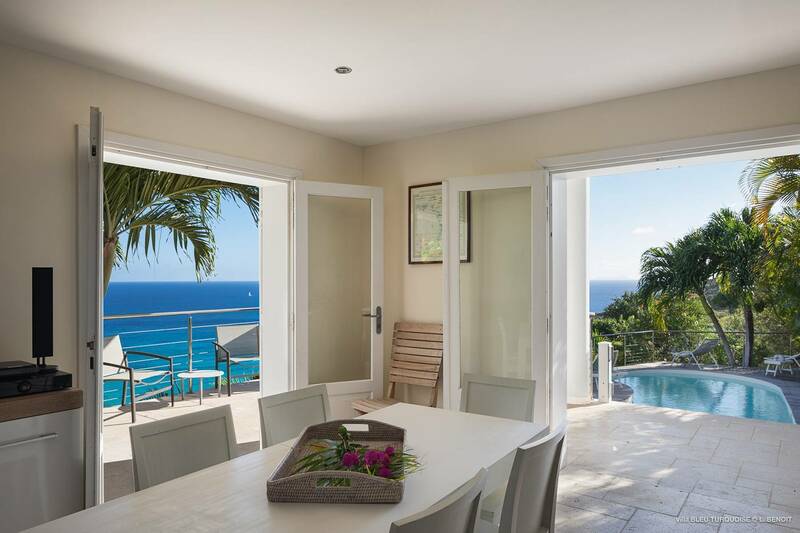 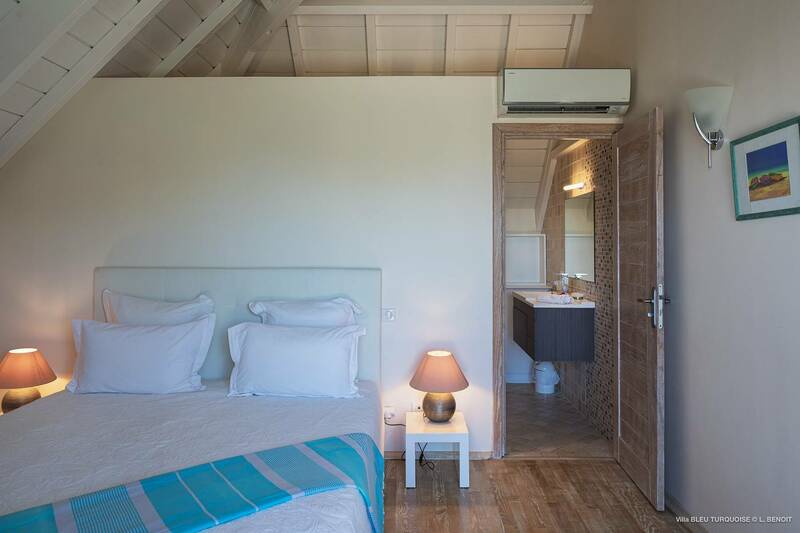 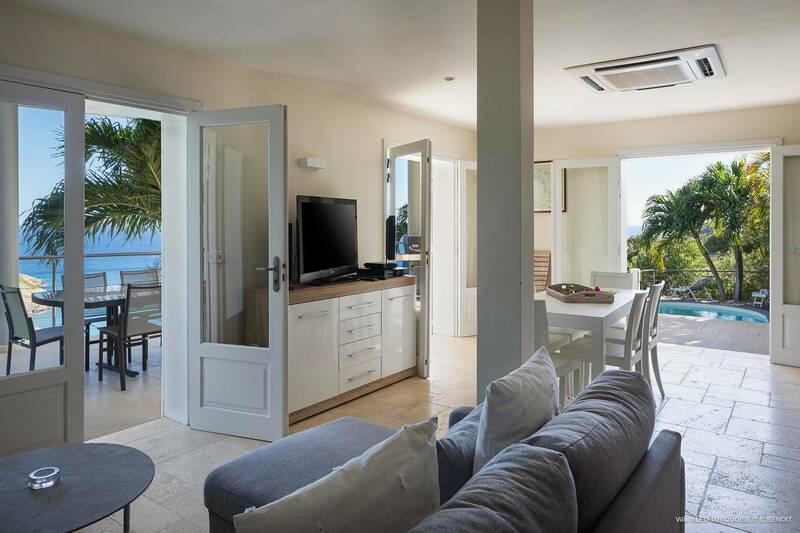 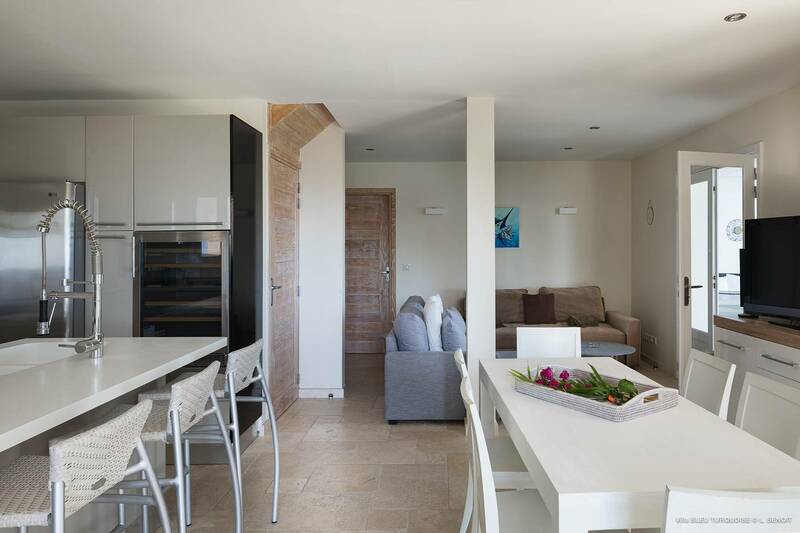 Villa Bleu Turquoise is located just above Villa Bleu Outremer and can be combined to make a total of seven bedrooms. 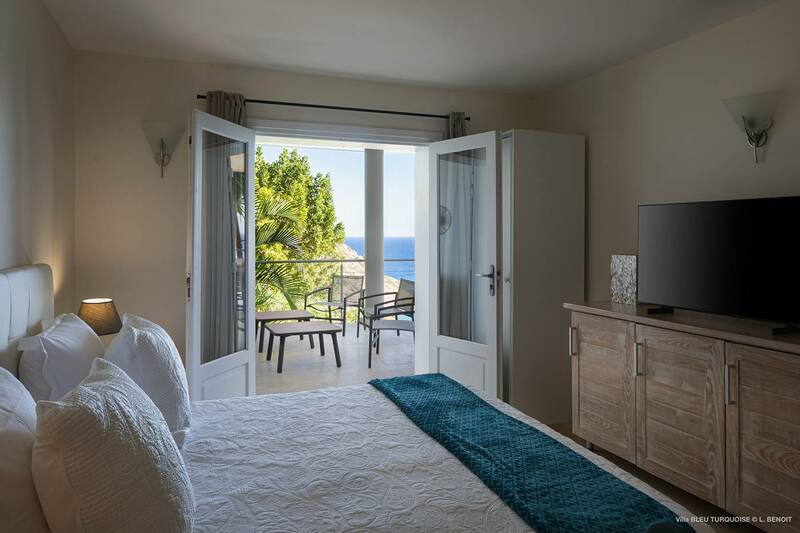 The 2 upper-level (king) bedrooms that open onto a terrace and take in the view. 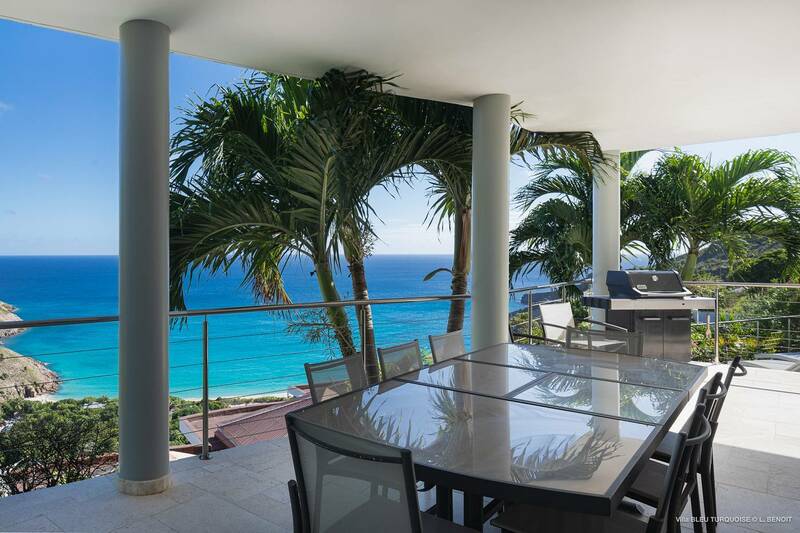 A sun deck surrounds a kidney-shaped pool, and a covered terrace offers dining alfresco.